Have you seen Tom Cruise's desk in Minority Report? How about Tony Stark's lab? We use 3D CAD every day at Utensile, but science fiction tells us that there are even better ways to view information. Today's VR (and AR!) solutions are coming very close to meeting our CG-enhanced movie expectations, but the biggest inspiration for us is just the potential for gaining that key insight that can only be seen from within your set of data. It's exciting stuff. 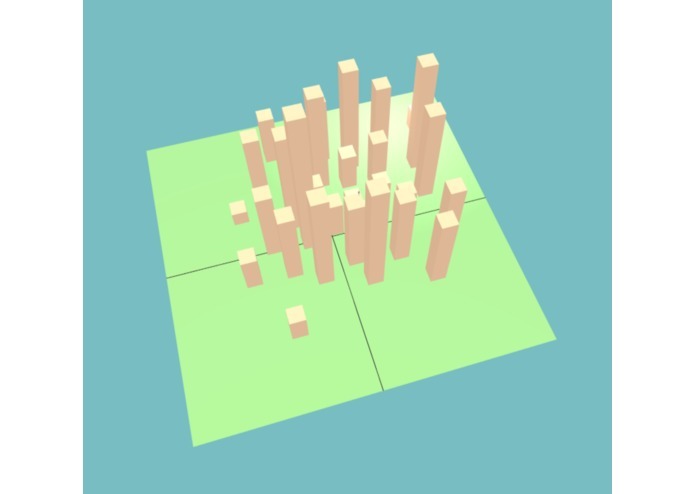 This application allows you to teleport around columns of data sprouting from a vast XY plane. You can look at the data set from anywhere on that plane, but that's not all. You can also teleport on top of the columns to get even more interesting perspectives on the data. Say hello to Christine when you're in there! 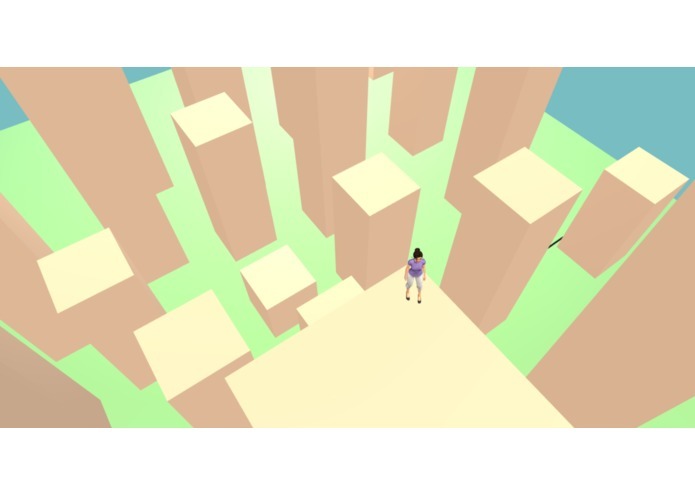 Kai Hilbourne originally built this app using Unity. 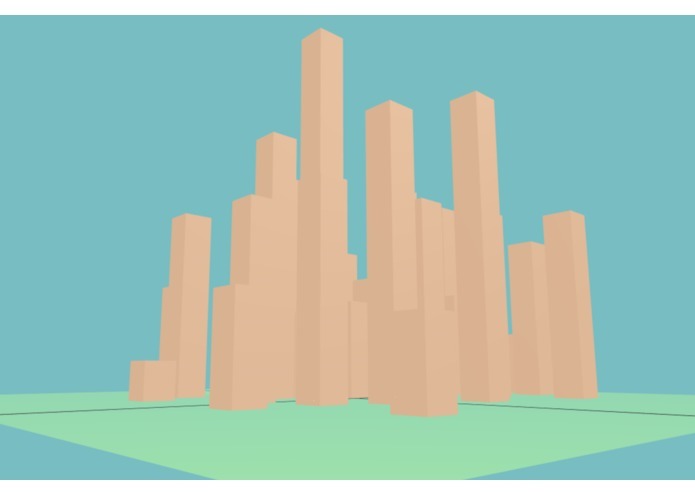 The program would pull data from a CSV file exported from an Excel spreadsheet, and then it would plot the data as spheres and columns in a VR environment where the user could fly among the data points and even teleport on top of the columns! Scott Pontoni built this Sumerian version of the application from scratch. We're excited about the idea of easily sharing these "worlds" of data (and more) with others through AWS and Sumerian. The data set shown in our submission was purpose-built in Blender to show-off the benefits of VR data visualization. Unfortunately, even as we approach the deadline for submitting this thing, we're still trying to figure out how to import CSV files into Sumerian. We'll get there soon! But our one-off demo is still compelling enough to see the promise of this kind of application within Sumerian. Looking across a plot of data--while standing on top of one of the data points--is an eye-opening experience! Kai built this as an intern at Utensile. He is a senior at Lincoln High School in Portland, Oregon. And Scott is a senior of a different variety--he's a senior mechanical engineer. Neither of these guys are seasoned programmers. But they were able to get the job done using Sumerian's user friendly interface, some help from the customer support folks at Amazon, helpful peers on the Sumerian online forums, and lots of determination. 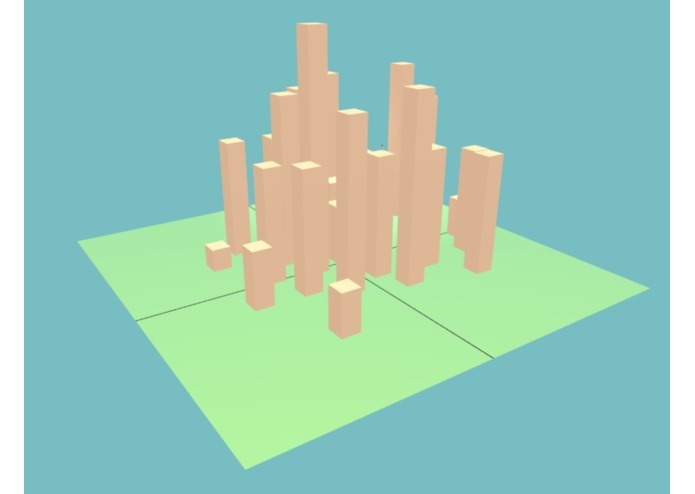 Because we're already working with a lot of 3D data, we've learned that simpler is better. We're sure that we'll learn how to express crazier shapes in more bandwidth-efficient ways in the future, but viewing data as dozens of columns is compelling enough for now. Once we learn more about importing CSV files into Sumerian, then this thing will really take-off like a rocket. And then we're going to beat the Dukes by cornering the market in orange juice futures.